Achieve that classic country look with our collection of Schoffel fleece gilets for men and women. 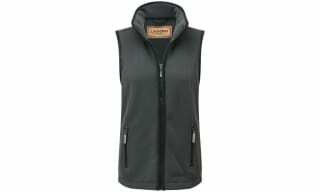 Shop the best selling Lyndon gilet for women or the Oakham gilet for men. Available in a wide choice of colours you are sure to find something to suit your taste. All of Schoffel’s fleece gilets are cut from the finest fleece and simply ooze style. Perfect for layering over a sweater or shirt, they are designed with the countryside in mind and offer insulation from those cold winds when you are heading into the great outdoors for long periods. You are sure to be the envy of your friends and family with these eye catching and high performing styles. 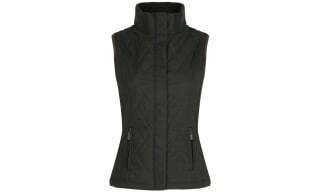 Discover our collection of quilted gilets for men and women from country specialists Schoffel. 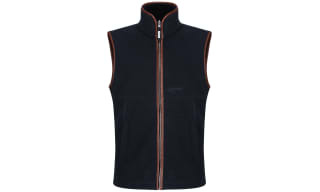 These gilets infuse Schoffel’s superior design and quality to offer you the ultimate in outdoor style and performance. When those cold days come around, team this gilet with your shirt or sweater to add some insulation to your look without compromising on style. With diamond and down quilts and faux fur styles you are sure to find something to suit your taste and complete your country look. All these styles include a practical pocket set up, allowing you to keep any essentials with you and are a must-have layer for anyone who loves heading into the outdoors. No country sport enthusiasts wardrobe is complete without a stylish shooting vest or gilet to achieve that classic country look whilst also adding some practicality to your attire. Explore our collection of shooting vests for men and women from Schoffel, all styles have been made with the countryside in mind, teaming the finest materials with contemporary designs which have been embossed in olives and tweeds for that classic look. 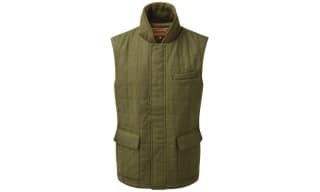 Team these vests with your shirt or sweater on colder days, and benefit from warmth and style when out in the field. All styles are equipped with large pockets, meaning any essential items can be kept with you when out enjoying your favourite outdoor activity or pursuit.